Temple Lodge No. 33 Installation of Officers – 6 April 2019, 1:00 p.m. – Temple Lodge, No.33, Duncan, B.C. The Annual Installation of Officers of Temple Lodge No. 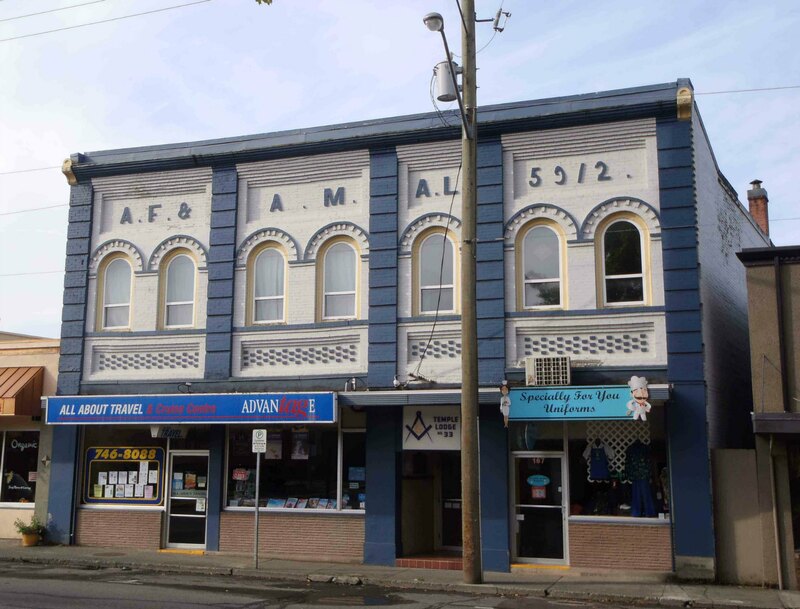 33 for 2019-2020 will be held at the Duncan Masonic Temple, 163 Canada Avenue, Duncan, B.C. on Saturday, 6 April 2019 at 1:00 p.m.
Temple Lodge will be opened at 11:00 a.m.
Temple Lodge No. 33 will be tyled at 1:00 p.m.
← Temple Lodge No. 33 Regular Meeting – 9 April 2019, 7:30 p.m.
Do you do your installation in the entered apprentice degree? I have one and wou8ld like to have him attend. At what time will you be opening the lodge? I to would like to see that. Parts of it are in EA but there will be other parts during which he would have to be outside the Lodge room. Lodge is opening at 11 a.m.